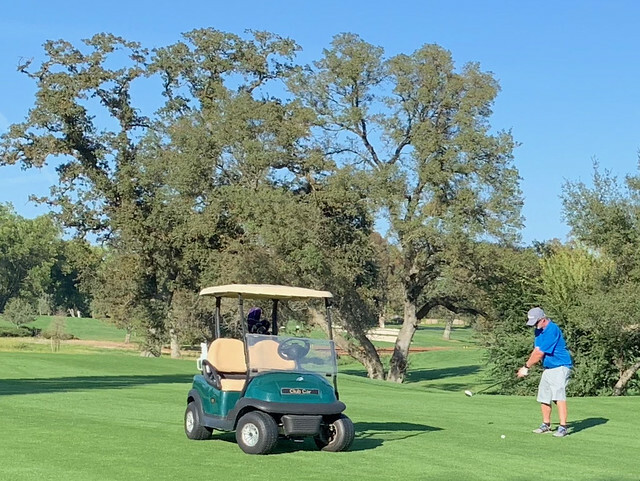 Friday afternoon, Sam Samms, Larkin and I played eighteen holes at the Del Paso Country Club. I enjoyed the afternoon, but was wildly inconsistent. 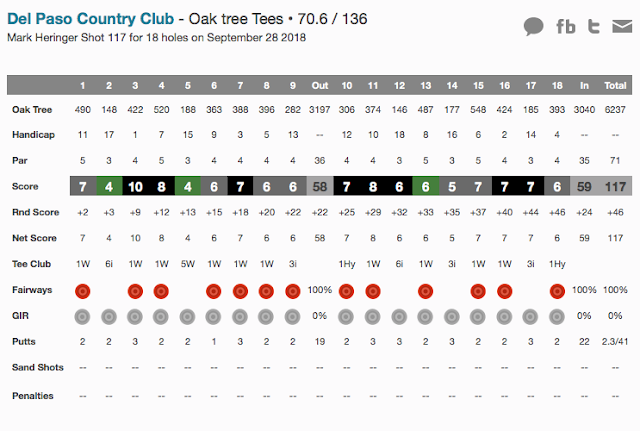 I struggled off the tee and with my new approach to chipping. Thankfully, I had my five wood working from the fairways and made a couple of nice saves out of the sand. We played fast. I only took us about four and a half hours to play eighteen. I rode with Larkin on the front nine and with Sam on the back nine. I struggled with the rough all day; I had a hard time getting a clean shot once I got in the rough. As Sam pointed out as we finished fourteen, the last four holes are very hard. I ended up shooting a liberally scored winter rules 117.